To clearly understand your financial values, goals, and concerns. To help formulate an action plan to address and accomplish the above. To provide excellent service to you along the way. To be your trusted Financial Advisory Team and a resource that you consider indispensable to your financial success. OUR CLIENTS with: Tremendous peace of mind, a clear understanding of their situation, and a comfort in having that trusted financial professional ready to answer any questions that come up, and who meets with them regularly and keeps them on path. US with: wonderfully meaningful work in helping people to 1) Achieve their financial goals and, 2) enjoy their lives more, and 3) to have fun doing it! We put our clients interests first, ALWAYS. We adhere to the highest standards of truthfulness, Integrity, and trustworthiness. 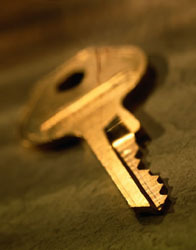 We maintain confidentiality of all our clients' information and circumstances. We tell clients the truth and we are ready to defend our opinions. We provide only those services for which the firm is competent and that provide full value for the client.